This is epiphany bread. Ya know the stuff? The bread that is such a simple idea but one that changes how bread is made in your house. I've been working on this for a while and I think it is time to finally share it here. It has been played with enough now. It is white bread. Don't panic. It can be done with whole grain. You just need to increase the water to 1 1/2 cups in the recipe. It will depend on how dry your flour is, and may need up to 1 3/4 cup cool water for the whole wheat bread. My favorite organic ancient grain for this is whole grain Kamut...and it will need the full amount of water. I make this dough late in the evening before I go to bed and just leave the bucket in my kitchen overnight. It takes all of three minutes to combine all the ingredients and then it is ready to go. Don't adjust the yeast. The beauty of the no-knead is that it takes a long slow fermentation time and that is what will develop a beautiful gluten structure in your bread. This slow ferment replaces mixing. It's crazy-cool! This recipe makes one loaf, so it is just right for smaller families or those just starting into bread making. It is a lot of fun! Oh...and really, it does't matter if you let it raise at night for 10 hours or during the day while you're gone to work. Let it fit into your schedule. NOTE: The temperature in your home will be a big factor in weather it will raise. Please allow an additional 2-3 hours if it is under 70 degrees at home. Winter months will be longer. Thank you! Combine the ingredients in a 1 gallon food-grade bucket or a large 1 gallon bowl with a lid, just until everything is mixed and smooth. It takes about 20-30 turns by hand to get it all combined. Cover with a lid and keep covered 10-12 hours at room temperature until you're ready to bake bread. Once it has raised overnight you have two options. Form into bread (or rolls, cinnamon rolls, whatever) OR it can be kept in the fridge up to 7 days and warmed to room temperature to use for bread or pizza etc. It takes about 45 minutes to an hour to get it up to room temperature (70 degrees). Form into a loaf (see detailed tutorial here) and place on a lightly oiled baking stone or in an 8 inch loaf pan that has been greased. Allow to raise in a warm room until doubled, about 2 hours. Bake at 375 degrees 35-40 minutes (meat thermometer will register 165 degrees or more). Enjoy! There you go! Enjoy a simple new way to make bread! 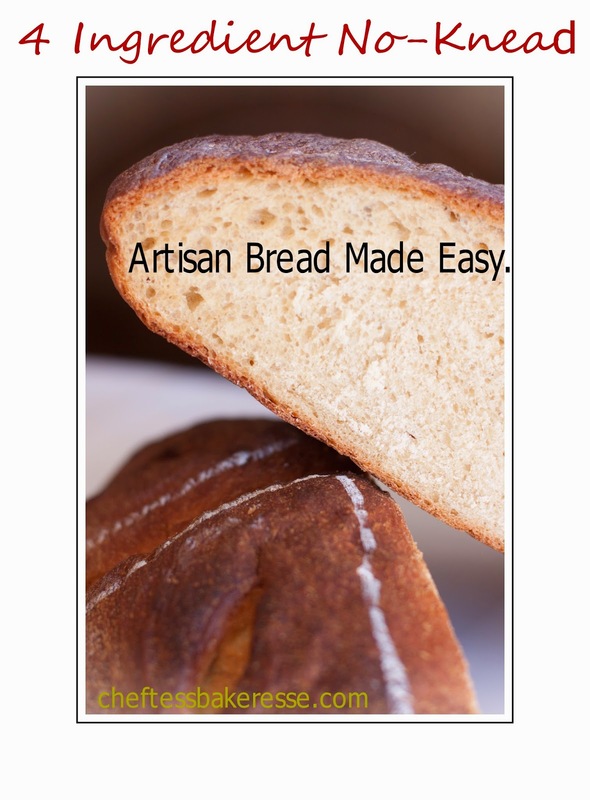 For my gluten free bread that is quick and whole grain delicious...go here. It is just as quick and gets rave reviews! My other favorite no knead bread is Lisa's No Knead White Chocolate Pecan Bread. It is to die for. Type and mill of Flour: Finer milled Higher protein white wheat bread flour, Kamut flour or Hard Red wheat flours are the best for this recipe. They have a stronger amount of protein and will always yield a higher loaf. The finer ground the flour, the better the gluten development will be. Large pieces of fiber in the flour will cut the strands of gluten, and shorter strands of gluten will not connect well enough to hold air in the loaf. Oh my goodness, I'm going to have to try this!! Thank you so much for sharing your recipe! Wondered if it's possible to use whole wheat and if you've tried it? I'm excited to try this out, thanks! So if I let it raise at room temp for the 10 hours, then put in the fridge to cook the next day.... form into a loaf and let rise at room temp (about 70degrees)... then how long would it take to rise? If room temp dough is 2 hours then how long (approx) for the cold dough from the fridge? Kindly advise? PS: SUPER EXCITED about this recipe and looking forward to making it! whats tsp ? teaspoon or tablespoon? DoTerra. Yes you can use whole wheat. It works great. Increase the water by 1/2 a cup. Mle. For the cold to raise, between 2 1/2 and 3 hours for bread. About an hour for pizza or flat bread. Can you double/ triple the recipe? Do all the proportions stay the same if you do? this looks awesome! what about spelt? do you think it would work with spelt? what about spelt? do you think it would work with spelt flour? Why a bucket? can I use a smaller container? Does the container have to be plastic? Can this be done gluten-free?? Do you think I could roll this out in the morning, and add cinnamon/sugar, roll it back up, let it rise for a couple hours, and then bake and have a cinnamon swirl bread? I have never made that, but it seems like it would work. Let me know what you think. Do I need to wait another 2 hours if I don't put it in the fridge after the 10-12 hours? Or can it go straight into the pan at that point to be baked? Thanks! May I ask how you painted the flowers and stencils on that loaf of bread at the top of your page? I might give it a whirl!!! Yes you can double/triple the recipe. All the proportions stay the same. Spelt will work, but you will need to mix/knead it about 4 minutes. Increase the water as you would for whole wheat as well if it is whole spelt. Gallon size container with a lid will work. I use a food grade bucket because it is what I have, but you can use a gallon size bowl wit a lid if you have it. I have not made this one gluten free...my GF whole grain bread is here on the blog and it is amazing. Best I've ever tasted. Cinnamon swirl bread would totally work. I have a tutorial for how to form cinnamon swirl bread here on the blog as well. You still need to let it raise after you form it into a loaf, even if you never put it in the fridge. Here's the link for my gluten free bread. This is awesome, I am going to do this before heading to bed tonight. Thanks! What do you do for a "warm oven"? If your oven runs warm or if you want to warm the dough in your oven? I want to be sure I understand your question. Teah crew. 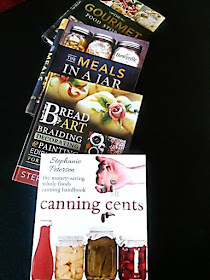 The painted bread tab at the top of my blog will answer your questions. I have several techniques. One for natural colors and one for just using food grade coloring. Both work. It just depends on what you want. do you have to put it in the fridge and then wait 2 hours after, or can you bake it first thing in the morning without the step of putting it in the fridge? Yes. You can form it into a loaf and let it raise and then bake it or you can put the dough in the fridge until you are ready to make the loaf later. "and may need up to 1 3/4 cup cool water for the whole wheat bread" - is this in addition to the 1 1/2 cups of warm water in original recipe? I don't have bread flour but do have unbleached all purpose flour. Is that ok? I'm new to bread baking, and a not sure about your instructions about turning it 20-30 times. Do you mean to put it in the bowl with the lid on and turn the bowl over & over? Or did you mean to put it in the bowl without the lid and hand turn it? Thanks! I am gluten intolerant. . .can you substitute another flour that will work? I am gluten intolerant. . .can you make this with a different flour that is gluten free? Put it in the bowl, without the lid on and turn it with your hand, combining all the ingredients until it is smooth and well mixed. There shouldn't be any chunks of flour but you don't need to knead it. Just combine it really well. Excellent question. Whole grain use up to 1 3/4 cup water total. All purpose flour will work fine. You will probably only need 1 cup of water for all purpose flour. Gluten free bread is another recipe here on the blog. See the link above for the that. You cannot just use GF flour in this recipe. It will not work. I've made this twice so far...and both times it came out very heavy & dense..is this bread supposed to be like this. Love the crust..but I would like a lighter loaf. Make sure you are letting it raise that full amount of time after you form the loaf in a warm place. It will raise but it must be warm. Also, are you following the loaf forming directions? That will effect the structure of the loaf. The yeast needs to be the instant yeast unless you use the regular active dry (you need 1/2 tsp of the regular active dry yeast). Hopefully that will solve any issues. So far I've had overwhelming great response to this recipe. I tried to do this recipe last night, but the bread never did rise, instead going kind of ... gooey? I have HORRIBLE luck with making bread - we're in Southern Nevada - any tips for me? What kind of flour did you use and how fresh was your yeast? Those are the most critical questions I have when I do follow up with this one. Bread flour is best for it but you can use wheat flour (check for freshness and make sure it is hard wheat flour not pastry wheat flour). Did you use rapid rise/instant yeast or active dry yeast? How hot was your water in the dough? It should be cool water. Just trying to see how I can help you adjust as needed. I made this bread last weekend and put it on a pizza stone instead of a 4x8 loaf pan. It was great! Just wondering if I had put the dough in the loaf pan would it have been more dense with no room to spread out then on the pizza stone ? Would it work to add herbs and/or roasted garlic to the dough ? Yes it will be more dense if it is contained in a loaf pan but usually it's about the same. You may have let it raise a little longer than it needed. Yes...add the herbs and garlic! It's wonderful. Great timing! Needed a bread recipe with no sugar in it! Thanks! I was going to try this so I could save some and try the "How to never buy yeast again". But I noticed that both call for 2 tsp of salt even though one has twice as much flour as the other, is that right? How much salt do I use? I use 2 tsp in this one even though it has half the flour. It's a personal preference thing. You can use 1 tsp and it will raise faster. Closer to 6 hours. I just made this bread -- my first time to make bread ever! I have never kneaded in my life, but I am assuming that bread that doesn't require kneading is easier. Well, it looks great! I haven't cut it yet -- I am waiting for my husband to get home, so he can have the full effect of my wonderful creation. So, I don't know about taste, yet but I am hopeful. I was curious about the Lisa's No Knead ...bread. I really like this concept of no knead, but I don't want to buy the various different flours for the bread with fruits and nuts. Can I add fruits and nuts to this bread? If so, are there any other instructions? By the way, thank you for the tutorial on making a loaf. It felt like I was a pro when I was forming the loaf. I did it all quickly and efficiently like I had done it a ton of times before. Your photos helped me understand the look I was going for. Oh that's awesome! So excited for you! Lisa's bread is amazing. You can however just add fruit and nuts to this recipe instead. It will be outstanding. Let me know how it goes darling! Xoxoxo! Thanks for posting the recipie. I love this bread, I've tried it both ways - mixing by hand and letting my bread machine run for a few mins to mix the dough. I prefer the latter and let it rise overnight ready for baking the next day. I've also done it in a pan de mie pan and it was perfect. I love that this has no sugar or fat - the way bread is supposed to be! Thank you so very much for this recipe! I made it last night with about 50% white, 50% whole wheat flour. I did the cinnamon swirl modification. Absolutely fabulous, especially the crust. I will be making it again this evening. If you go camping, you can bake this in a dutch oven instead of a loaf pan. I have always called this Camp bread. If you don't know how to bake bread on a campfire, there are several very good instructionals on You Tube. Can the dry ingredients be mixed together and placed in a jar and sealed for long term storage? I am not sure about the shelve life of the yeast. This would be a good thing even if not for a long term. I bake bread or roll every once in a while and the bread flour always seems to get old. If I bought it and then mixed it I could save by not throwing out the flour. Absolutely!! If you use an oxygen absorber, the shelf life would be up to 3 years. Xoxo! made this bread, i had a few issues, which I am sure were mainly temperature issues for the rising. It was pretty sticky/gooey when I removed from the bucket, had issues getting into a firm ball, should I have used a few pinches of flour to help the sticky/gooey and forming a tight ball? It was so sticky I couldn't even get any clean slices in the top, dough stuck to knife. Anyway, loaf didn't look as beautiful as yours, but when I opened that lid on the dutch oven the best, steamy, hot, yeasty, WONDERFULLY GLORIOUS, smell emerged and the taste equaled that as well!! I think I have the kinks worked out and am going to fresh bake another loaf tomorrow at my niece's house for Thanksgiving. Thank You Chef Tess!! I have been wanting to make my own bread for years (specifically sandwich loaf), never having much luck when I tried. I think the things I was missing were the simple ingredients in this recipe, and the instructions on how to form the loaf. That was key, I truly believe! I did make it and it smelled heavenly and tastes delicious. It is a little dense but then it also did not rise 2x it's size even after 2 hours. I put it in my oven with the light on and spritz with water (which I think is another key element). Could I put this in my dehydrator (I have an Excalibur) to rise setting it at 90º perhaps? I don't want to dry it out. I do live in South Dakota where it is very cold right now, so that might be affecting it (we set house temp at 68º). In the realm of pizza dough, do you let it rise on the pan before baking it, and do you have to bake the crust before you dress it? I'm also excited about this lasting in the fridge for 7 days. That's so convenient. Thank you sooooooo much for this post. I can't remember how I stumbled on it, but likely from one of the foodies I follow on Facebook. You are so charitable for sharing all your knowledge. Thank you!!! I would like to try this bread, but it's about 90 degrees in our home all winter, We have a wood stove, will that make a difference on the over night raising time? I have a larger family with teen boys so bread is gone in one swallow over here. Is it possible to double the recipe in the same bucket, or should i use 2 buckets and make 2 batches to bake at the same time in the oven once they have risen? this recipe is SUCH a hit! Best ever way of making bread. I used to depend on it a lot, then stopped eating gluten - but tonight is gluten night!